Today was community day at the dig. On community day 7th and 8th grade students come and dig with us. They learn about the tools, help identify pottery, and get to be an archaeologist for a day. Here is a picture of me waiting for the volunteers.Waiting for local school kids to arrive! Today we taught students about archaeology. Your job is to teach someone in your house something you know about archaeology. Think about the videos that you have watched and junior archaeologist activities you have completed, and choose one that you want to teach your family. Send me a picture of you teaching your family something you know about archaeology. 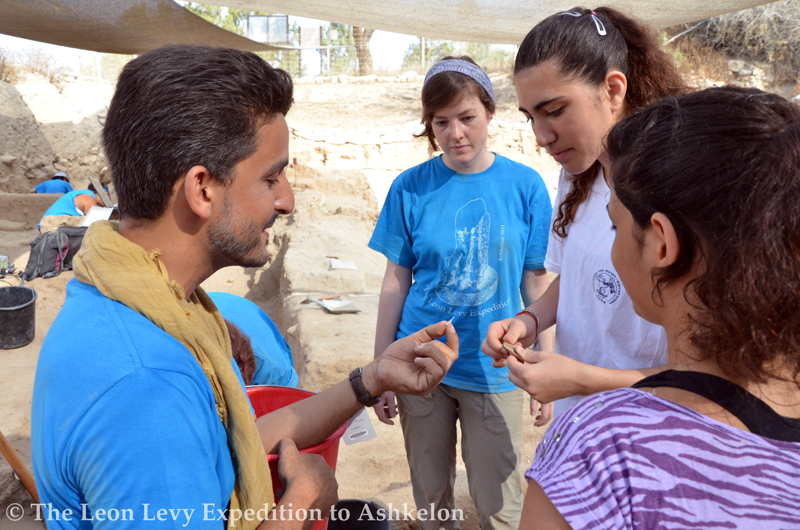 Why do you think we have students from schools in Ashkelon come to learn about the dig? Remember to send me questions and wonders so that I can have the archaeologist make you videos! You are right on friends! 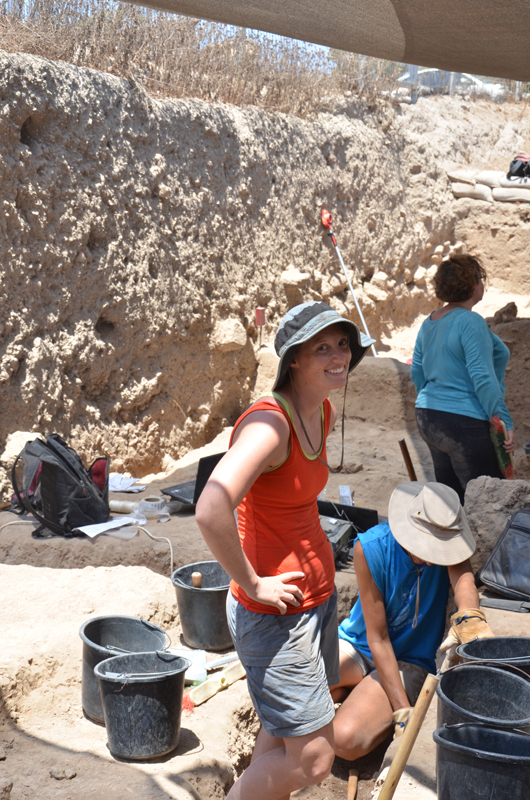 We had the students come to learn about archaeology, what we are digging and to help us out a bit. Nathan, Aaron is actually not here with me. He is at home working and taking care of Maggie May. I sure do miss him! We also enjoyed reading about your dig. Nice job using the techniques archaeologists use. The archaeologists here were very impressed!